Thuwunna Youth Training Centre Stadium is a multi-use stadium, located in Yangon, Myanmar. The 32,000-seat stadium is smaller but more up-to-date than Aung San Stadium, and is the venue of choice for most national and international level football and track and field competitions. The stadium's eight-lane runway is the first in Myanmar that conforms to the international (IAAF) standards. It is currently being upgraded to a seating capacity of 50,000 spectators. Thuwunna National Indoor Stadium, located next to the outdoor stadium, is the country's primary venue for indoor sports. The stadium hosted 2013 AFC U-22 Asian Cup qualification Group G matches from 23 June to 3 July 2012. It will also host the qualification stage for the 2012 AFF Suzuki Cup. 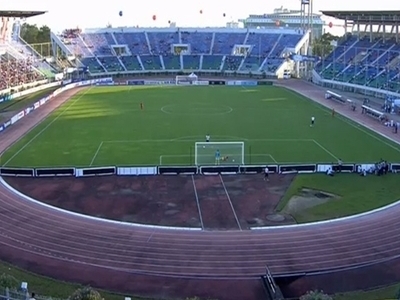 Here's the our members favorite photos of "Stadiums in Yangon". Upload your photo of Thuwunna Stadium! Hein Pyi is the only Touristlink member to visit Thuwunna Stadium. Have you been here? Click here to save it.